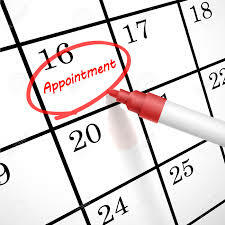 Family life crises don’t make appointments; they just show up. For most people that means tackling a crisis with no experience and no plan. (Hope is not a plan!) So, if you are one of the estimated 109 million Americans who have an older loved one in your orbit, what do you need to do to make a Plan? Here is my “short list” of the documents you need to have and be able to put your hands on… sometimes with no notice: • Medical Release – the document you need so your loved one’s medical providers to speak with you about your loved one’s health status, medications and prognosis. • Power of Attorney (POA) for Finance - a legally binding document that gives a person (referred to as the “agent” or “attorney in fact” permission or power to act on behalf of an individual in matters of property or finance. • Power of Attorney (POA) for Healthcare - a legally binding document that gives a person power to act on behalf of an individual in matters of medical treatment. The “power” typically is in force when it is deemed the person in question can no longer act for themselves or if they are not conscious. • Practitioner Orders for Life-Sustaining Treatment (POLST) – a document (varies state by state) that specifies in advance what measures an individual wishes to have in the event they cannot expressly grant permission themselves. These orders typically revolve around life-saving measures; they are sometimes referred to as advanced directives and are placed in a patient’s medical files. • Health and Life Insurance Policies – the health policy will help everyone involved understand what is covered and which physicians and other providers are available to your older loved one. The Life insurance policy should be in a safe place so that it can be readily accessed should that become necessary. • Estate Plan – is (potentially) a wide-ranging document that let’s everyone know how any real estate or other holdings are titled and what the “plan” is for when a will is executed. • Trust documents – help to identify how one’s estate is to be transmitted to beneficiaries. 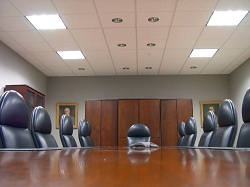 Trust names need to be consistent with life insurance, will and holdings in order to be in effect. • Last Will and Testament – the legal document by which a person expresses his or her wishes of how property is to be distributed at death, and names one or more persons, the executor, to manage the estate until its final distribution. • The Grab and Go – This is a list that typically is sealed in a plastic bag. It includes medical insurance documentation, a list of allergies, a list of medications, primary care physician contact details and in case of emergency (ICE) contact information. Please email (info@creativecaremanagement.com) me with any questions on any of these…as well as how to take the next steps which is your plan. Do yourself a favor…don’t wait for a crisis. Charlotte Bishop is a Geriatric Care Manager and founder of Creative Care Management, certified professionals who are geriatric advocates, resources, counselors and friends to older adults and their families in metropolitan Chicago. Getting back to our China example, the law does say "should." But it just may be that the authorities were seeing some of the same trends as we see here in the United States. And this survey’s report pretty much squares with what I see as a geriatric care manager; older caregivers taking care of older friends or spouses shoulder a larger burden, and it ultimately takes its toll on the caregiver. If you know an older caregiver, help them to find resources to take some of the load off; remember also that a large portion of that "load" may be guilt about not going it alone...so be supportive. Charlotte Bishop is a Geriatric Care Manager and founder of Creative Care Management, certified geriatric care management professionals who are geriatric advocates, resources, counselors and friends to older adults and their families in metropolitan Chicago. Please email your questions to ccbishop@creativecasemanagement.com. If you are a caregiver to one of the nearly 13% of Illinois residents who are 65 years of age or older, you may be a bit more stressed since July 1, 2012. That is the date when a program to help qualified seniors to better afford their prescription drugs, Illinois Cares Rx, was terminated. Not all seniors will be affected, but it will impact the most vulnerable among the seniors, those who are at the lowest incomes. The termination of Illinois Cares Rx means that the program will no longer help pay for prescription drugs and Medicare Part D premiums. 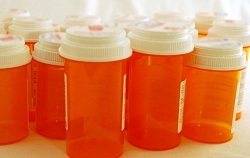 If you have not already done so, it is important that you or the senior for whom you are a caregiver contact their Medicare Part D prescription drug plan to find out what their premium and prescription drug costs will be beginning July 1, 2012. That is because as of July Medicare beneficiaries are responsible for their Part D Plan premiums and any higher co-pays or deductibles. The Illinois Cares Rx program had been part of a more comprehensive aid package that included the "Circuit Breaker" benefits as well. You may recall that Circuit Breaker included a discount for auto licenses or a free transit card. These opportunities are still available for those qualified individuals who complete an Illinois form IL-1363. Qualifying for the benefit requires an individual be 65 years of age or older (or dependents upon a 65+ year old), reside in Illinois and meet the income requirements. Applications for "Circuit Breaker" must be received by the State no later than December 31, 2012. There may have been some confusion about this program, because simply being 65 years of age or older had for a time qualified a person to receive a public transportation transit card at no charge. This also has been made even a bit more unclear, because Circuit Breaker at least in name has been discontinued, but the free ride or license discount programs are still available. These will be reviewed on a year by year basis. If you have questions or would like to locate an Illinois Senior Health Assistance Program (SHAP) site near you for assistance, contact the Senior HelpLine at 800-252-8966. For answers on-line, use this link to get answers to fequently asked questions: http://www.cbrx.il.gov/. More than seven million Americans are balancing the demands of a full-time job along with caregiving to a family member, typically an older parent. For many, they daily choose between work and family as they try to juggle each job's demands, and what usually has to give it their free time, their time with their own kids or this time with their spouses. Almost two-thirds of working caregivers have to make some sort of real adjustment in the demands of their job or their career plans to accommodate their caregiving. One out of every three workers will cut back on their hours to make room for caregiving duties like trips to the doctor or actual hands on care for an incapacitated loved one. One out of ten have moved from full-time to part-time employment in order to accommodate their caregiving responsibilities. One in twenty opted to leave the workforce entirely and nearly as many left their jobs by retiring earlier than they otherwise would have. Set clear boundaries with your loved one so that calls to work are only in case of emergencies. Divide your day into "work hours," "caregiving hours" and also time for yourself - "my hours." Get some help from outside agencies for the tasks that do not require you to be hands on. Do your homework by reading the employee manual or talking with human resources about their guidelines or employee assistance programs to accommodate caregiving. Prepare for your conversation for the meeting with your manager before you meet with your ideas for reduced time, flex time, job sharing or other solutions and above all, be honest and open. Recognize that if you love your job that this will be a tough move, and let your employer know how committed you are to your job and the company and that your really do plan to return to the workforce. Charlotte Bishop is a Geriatric Care Manager and founder of Creative Case Management, certified professionals who are geriatric advocates, resources, counselors and friends to older adults and their families in metropolitan Chicago. Please email your questions to ccbishop@creativecasemanagement.com Visit our For The Caregiver page for more information and resources..
Cardiovascular disease accounts for one-third of all deaths in America today. The heart matters! We provide advice on how you and your loved one can maintain a healthier heart -- it is not just limited to diet and exercise! Inside "Guide toward a Healthier Senior Heart"
Contact us with any question. Receive our FREE white paper: "A Caregiver's Guide toward a Healthier Senior Heart." Assisted living residences are housing facilities meant specifically for those with a need for daily supervision and/or assistance. Making a decision to move your elder loved one to assisted living is not easy and comes with so many questions. Is it the right choice? What type of paperwork is involved? Which assisted living facility is best, given our particular situation? Creative Care Management helps you find answers to all these and many other questions about your elder loved one’s care. Our elder care service specialists begin by conducting a thorough assessment of your loved one’s condition physically, mentally and socially. Then, considering every aspect of your needs from level of care necessary to budget concerns, we put together a geriatric care plan and then help find your loved one an appropriate community of the highest quality. We grade our facilities based on three factors below and only recommend the top assisted living care providers. Contact us today and learn for yourself what makes Creative Care Management, the top-rated Chicago geriatric care management company. We will work together to improve the life of your loved one by finding them the expert care they deserve. Assisted living communities are staffed with professional caregivers and healthcare providers, that monitor and assist residents with their personal health needs including assistance with medication management and daily routine as needed. An active, social life is encouraged among residents, and planned activities are often provided by staff members, but residents are not fully independent like those living in a retirement community, nor are they under the 24 hour supervision that nursing homes provide. In a season with snow already blowing, we may think more about "winter-proofing," but I would like to continue with "fall-proofing." In my last posting, I wrote about how common falls among older adults are and some home improvements that can reduce the risk. 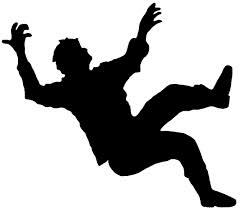 I would like to take this conversation a bit further by talking about what are referred to as the intrinsic and extrinsic risk factors for falls. You will see that these offer two more "big picture" ways to both assess an older loved one's fall risk and to safeguard against those risks. Intrinsic Factors: The intrinsic risk factors are those that an older adult carries with them wherever they go, the most common simply is age. With more birthdays will come a decrease in muscle strength and tone, diminished vision and a decline in agility. And with age will come some chronic conditions that may not have been an issue when a person was younger. Increased age also translates into decreased bone density which simply means that the falls that a younger person can incur without complications now can become a hip or long bone fractures for a more mature adult. All of these risks conspire to create challenges to an older person's ability to maintain their balance. Extrinsic Factors: The extrinsic risk factors are those that are introduced to the older person. Many medicines or treatments can cause dizziness by either reducing blood pressure or by interfering with the inner ear's balance. I talked about loss of strength as an intrinsic issue, but a loss of muscle mass in the feet for an older person whose shoes therefore do not fit as snugly can pose its own imbalance and fall hazard. Alcohol consumption can be an extrinsic risk as older individuals' tolerance for alcohol is diminished. And the dehydration that can come from alcohol or any diuretic consumption may cause dizziness. So, if you are a caregiver to an older loved one, what can you do to address what seem to be the human forces of nature and aging? Here are some suggestions from the Centers for Disease Control. Encourage your older loved one to: •	Exercise. Regular exercise strengthens muscles and bones for better balance and resilience. •	Inventory the meds. Ask a local pharmacist or their primary care provider to review all prescription and over the counter medications for potential interactions or unwanted side effects. •	Schedule a regular eye exam. What your older loved cannot see can hurt them, so have their vision checked at least once a year. •	Rise slowly. Encourage your loved one to slowly get up from a chair or their bed to avoid the light-headedness that can result in a fall. •	Wear shoes. Shoes will give a surer footing both inside and outside. Barefoot or slippers do not give the support or sure footing of properly fitted shoes. •	Turn on the lights. Check throughout your loved one's house to upgrade where possible to brighter bulbs and add lighting to any dark or shadowy areas. Charlotte Bishop is a Geriatric Care Manager and founder of Creative Care Management, certified professionals who are geriatric advocates, resources, counselors and friends to older adults and their families in metropolitan Chicago. Please email your questions to info@creativecaremanagement.com. I have talked in the past about making home safer for seniors as well as geriatric care management services for those considering a move to residential communities. But the financial and practical fact of the matter is that owning the family home may prove to be less affordable as well as less livable for adults in retirement. Never mind that classic picture of older adults whose kids have graduated college. They have burned the paper of a paid-off mortgage and can now live for free! Well, a lot of seniors were hit by the Great Recession just like other homeowners, and the house is not really free and clear. For virtually everyone, the cost of the house still includes real estate taxes which continue to rise even though housing values have declined in most markets. And the costs to maintain a house tend to come in big chucks like the cost to replace roofing or a new furnace or a hot water heater and more. Some older adults never got to the point where they could buy their own home in the first place. 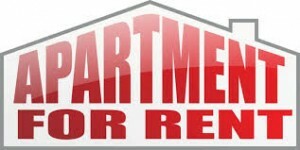 A study issued by the Joint Center for Housing Studies of Harvard University found that older adults make up about 13 percent of the rental market in the U.S. That is precisely the share of the U.S. population that is 65 years of age or older, and the percentage is expected to grow with the baby boomers adding to the number of renters. Finances and age are just a part of the decision to rent or buy; also important are health and lifestyle. Regarding health issues, if you are a caregiver to an older adult you may find that they can maintain their independence longer in a rental property that in a conventional home. Rental properties typically can offer a residence all on a single floor for any older adult with difficulty getting around. More current housing also will offer elevators to make getting from the ground floor to their apartment unit easier. And don't overlook the convenience of having a landlord taking care of the heating and cooling systems, the laundry machines and the roof. They also will maintain the lawns and walks. Regarding lifestyle issues, older parents may wish to have the added security of being able to be away from home for extended trips without the worry about safety of their homes. The added safeguard of two front locking doors and nearby neighbors can make it easier to take a vacation or a trip to visit the kids and grandkids in another part of the country. And don't forget that lifestyle also can include the freedom that may come from not having the added weekend duties of a lawn and grounds. That extra time back in the week can be a real bonus for an older adult who really does have something better to do. Charlotte Bishop is a Geriatric Care Manager and founder of Creative Case Management, certified professionals who are geriatric advocates, resources, counselors and friends who provide geriatric care management services to older adults and their families in metropolitan Chicago. Please email your questions to ccbishop@creativecasemanagement.com. We all know that Boomers - who began reaching age 65 just two years ago - are the largest segment of the U.S. population. Aging boomers are expected to total about 71.5 million by the year 2030, but what you may not know is that as many as one in ten of the Silver Tsunami will be lesbian, gay, bisexual or transgender (LGBT). This is important, because the generations that preceded them who were LGBT simply accommodated the "closet" when they aged. Never mind the ageism and racism we still find in some quarters, a lot of the institutional providers for seniors may not yet have embraced a welcoming culture for people of alternative gender preferences. As a geriatric care manager, I see this as a perfect storm with three fronts, a storm which has the potential to create one of the largest threats to aging well - social isolationism. 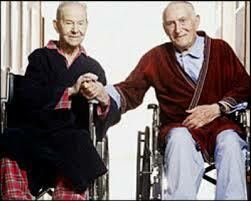 If you are a caregiver to an older LGBT partner or loved one, you will need to be alert to the potential challenges. For instance, there are likely to be limited or no programs for alternative lifestyle older individuals in rural or suburban areas. And the gay male experience of aging is exaggerated among men where there is a more pronounced premium on being attractive or desirable. Generally speaking being 40+ among gay men can be seen as equivalent to being 80+ in the straight community in terms of being marginalized. The social isolation that is a consequence of "premature aging" and marginalization also increases the gay population's risk for depression, substance abuse, low self-esteem or even suicide. The rate of suicide among gay men is about six times that of straight men. LBT women may have it even worse. More than one-third, according to recent surveys, say that they have not divulged their sexual preferences to their health care providers. They also are less likely than gay and bisexual men to have purchased long term care or life insurance. About one in five LBT women are caring for an aging partner, but they also feel less prepared financially than gay men for retiring. Put all these factors together, and the LGBT community is less inclined to seek attention for health issues for fear of hostile or judgmental providers. Poor health care translates into even earlier institutionalization in long term care facilities. Also, it is ironic that in national surveys that nearly three in four LGBT individuals anticipate that they will be caregivers to another person, but one in five are unsure they will be cared for themselves when the need arises. Adding to this potential caregiver shortfall, many gay couples simply do not have conventional family to care for them. If you are a caregiver to an LGBT elder, encourage the following: • They have a Last Will and Testament that is really according to their "will" o With clear advanced directives/living will • Their partner/spouse has Durable Power of Attorney (health and finance) • Informal caregiving arrangements are clear and followed • Priority rights for hospital visitation are followed • There is Joint Ownership of Property with Rights of Survivorship And for us all: Recognize that all humans deserve compassionate care which respects their personhood and their definition of family and their wishes. Charlotte Bishop is a Geriatric Care Manager and founder of Creative Care Management, certified professionals who are geriatric advocates, resources, counselors and friends to older adults and their families in metropolitan Chicago. Please email your questions to info@creativecaremanagement.com. In many of my postings on family caregivers I have talked about the really hard job of caring for an older adult or someone else with special needs. At the personal level it truly is an enormous responsibility with great demands on a person’s time and their emotional well-being. The most recent report on family caregiving published by AARP, however, really provides a sense of the huge and important work that caregivers are providing for their families in America today. It is required reading for caregivers and their families. In AARP’s snapshot of caregiving in America, they estimate that as many as 42.1 million people in 2009 were providing some sort of help with activities of daily living to an older adult. That number jumps about 50% when you look at all the people engaged in some sort of caregiving at any point during the year: 61.6 million people. And these individuals are offering their support as unpaid caregivers. If this were an “industry” instead of a voluntary contribution of time and energy, it would be generating an estimated $450 billion a year, an increase of about 20 percent over the prior year. It really comes back to three points I cannot repeat often enough. One, caregivers’ contributions need to be appreciated by the entire family who benefits. 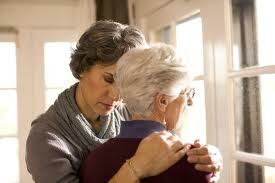 Two, the whole family also needs to help in caring for the caregiver. Three, it takes a village for all of the above. If you're caring for someone with Alzheimer's or another form of dementia, we understand the difficulties of seeing a loved one through often times drastic mental changes. We want to help caregivers further understand Alzheimer's and how to best care for the patient in their orbit. Contact us with any question. Receive our FREE white paper:"A Caregiver's Roadmap to Alzheimers."